Cemetery preservation at Pontius United Methodist Church takes investigative skills, persistence and epoxy. Written for and published in the Circleville Herald on September 16, 2016. To read the full story, click HERE. Determination and care are helping to make a Pickaway County cemetery whole again. A dedicated preservationist, Mark Smith of Gravestone Transformations, started the cemetery conservation and preservation project at Pontius United Methodist Church Cemetery earlier this year, but doesn’t expect to finish it before next winter. The work, which includes probing the hallowed ground for hidden markers, repairing broken headstones and resetting fallen monuments, not only outweighs the manpower but invariably leads to new discoveries that further add to his to-do list. Much of the potential work is clearly visible. The headstones, primarily made of marble, scattered throughout Pontius UMC Cemetery were what initially drew Smith to the restoration work. A few inches below the undulating ground, however, lie more clues to the past. “I may not be able to find all of the gravestones for every burial at Pontius. Quite a number of pieces are completely missing. However, those that I can locate, repair, reset and clean will help tell the history of our area, one stone at a time,” said Smith. Earlier this year, Smith set out to preserve the estimated 130 headstones that are both visible and hidden at Pontius United Methodist Church Cemetery. The cemetery is filled with an array of stones slotted into the lawn. Some in need of leveling and others in need of repair. Ice is only one enemy to the historical architectures found in a graveyard. ”Gravestones can get buried in the dirt for a number of reasons. One reason, of course, is the ground naturally shifting underneath the weight of the monument. Stones can get broken in the same manner. The ground shifting can cause headstones to lean. Depending on how the stone is mounted, it can cause it to fall over or break,” Smith explained. During his quest to preserve the cemetery, Smith is using all available resources on the interments there. He’s researching burial records, birth and marriage records, historical documents and maps. Mark uses these combined tools to help fill in the gaps of those buried at Pontius Cemetery. The Pontius United Methodist Church Cemetery preservation project will take Smith more than a year to achieve. Even if all of the gravestones are not found, preserving as many as possible and recording that information will give a visually historic record for Washington Township and Pickaway County. It will also help future generations learn about their ancestors. Sherri Smith is the founder of My Faithful Assistant. My Faithful Assistant offers business management + virtual assistant services to individuals, as well as, a wide range of business models. Their business models include academics, business owners, coaches, entrepreneurs, independent contractors, innovators, magazines, newspapers, non-profits, photographers, speakers / presenters, startups and writers / authors. They offer a FREE one hour consultation and estimate with each project. 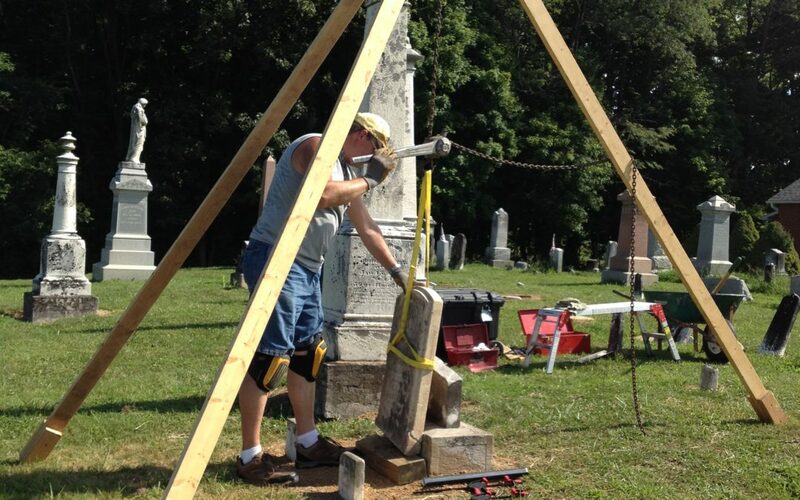 Cemetery conservation and preservation project at Heidelberg United Church of Christ takes patience, heart and muscle. 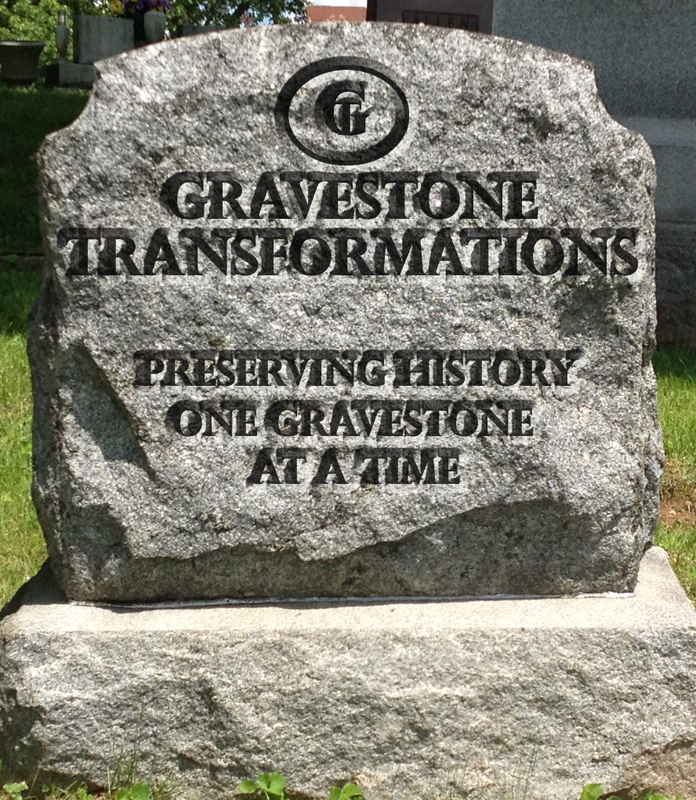 Gravestone Transformations Donate To A Cemetery Project Or An Ancestor’s Gravestone Project.